As soon as “Lion” screened at the Toronto International Film Festival, the stories began: Harvey Weinstein, they all said, is back in the Oscar race. And after taking a look at the film at a press and industry screening this week, I’d say that’s largely true: “Lion” is a mainstream awards movie that played well to the industry crowd and could attract old-school awards voters. Many viewers cried when they were supposed to on Wednesday, even if they didn’t applaud the film the way P&I audiences had cheered for “Nocturnal Animals,” “Arrival” and other films earlier in the festival. It’s also worth noting that sentimental crowd-pleasers aren’t Oscar slam dunks the way they once were; since the Weinstein Company’s back-to-back Best Picture wins for “The King’s Speech” and “The Artist,” winners have been tougher (“12 Years a Slave”), weirder (“Birdman”) and more understated (“Spotlight”). Weinstein once dominated the race, pioneering new and aggressive ways of campaigning, building Miramax into a company that lured stars partly because it won them Oscars, and then landing those consecutive TWC winners in 2010 and 2011. More recently, he has had nominees like “The Imitation Game” and “Philomena,” but last year his company couldn’t land Best Picture nods for the masterful “Carol” or Quentin Tarantino‘s “The Hateful Eight.” And this year, with the company suffering financial problems and opting to forgo its usual press presentation in Cannes, which had long been a showcase for the coming season’s awards hopefuls, it seemed that all of Weinstein’s hopes lay with John Lee Hancock‘s “The Founder,” starring Michael Keaton as McDonald’s mogul Ray Kroc. 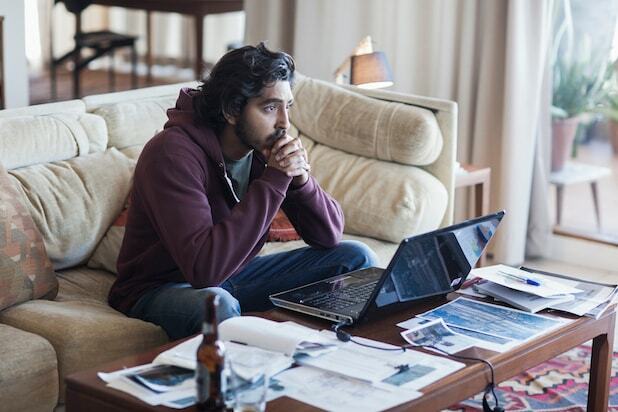 Then came Garth Davis‘ “Lion,” based on a true story about Saroo Brierley, a young Indian boy who at the age of 5 was separated from his mother and brother and adopted and raised by an Australian couple. Increasingly obsessed with the life he only vaguely remembered, Brierley used Google Earth to locate the small village from which he came. The film stars Dev Patel (who burst onto the scene eight years ago with the Toronto-to-Oscar juggernaut “Slumdog Millionaire”) as the grown Brierley, Sunny Pawar as the character as a young boy, and Nicole Kidman and David Wenham as his adoptive parents. It’s seamless, beautiful and straightforward filmmaking, with the film haunted by the sight of the boy who gets trapped on an out-of-service passenger train and finds himself 1,600 kilometers from home, trying to survive on the street. “Lion” doesn’t traffic in nuance, with Saroo’s cuteness factor rarely flagging even in the direst of circumstances and Kidman playing about as saintly a mother as one could imagine. But “Lion” doesn’t exist to paint in shades of gray. It’s here to make you feel for a lost kid and a grieving mother, and it’s here to deliver (spoiler alert ahead, not that you’ll ever be in doubt) a four-hankie feel-good ending that delivers exactly what a movie like this is supposed to deliver, even if it’s a touch on the shameless side. Will that be enough to put it in the thick of the Oscar race? Probably. But the old awards-season verities don’t always work the way they once did, and you can be sure that Harvey Weinstein knows that as well as anyone.